The perfect cocktail can compliment nearly any moment in life. Whether it’s celebratory event, a social drink, or a work function, the blend of flavors in a quality drink can be icing on the cake. Highball makes saving or sharing your favorite drink recipes easy and beautiful. Best of all, you’ll never have to guess whether the perfect cosmo has 1oz of cranberry juice, or 2. Highball is a cocktail recipe app made by Studio Neat. 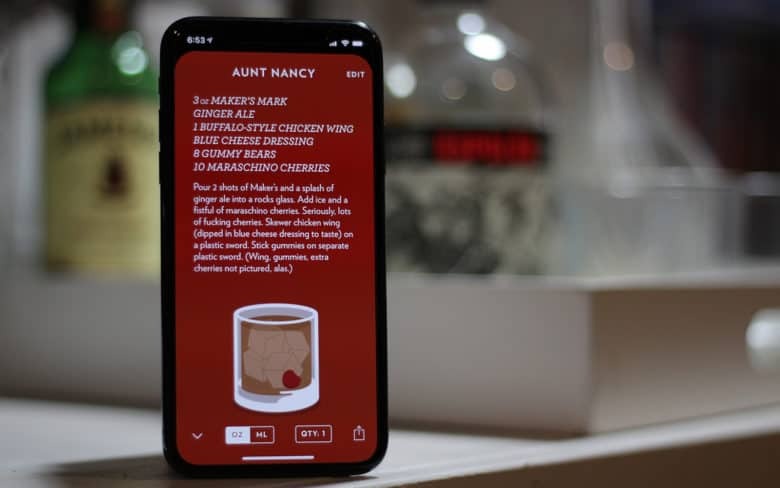 With an emphasis on a classy experience, Highball allows you to save, share, import and discover drink recipes in a beautiful recipe card interface. One of the best features of Highball is that it’s simple and elegant. 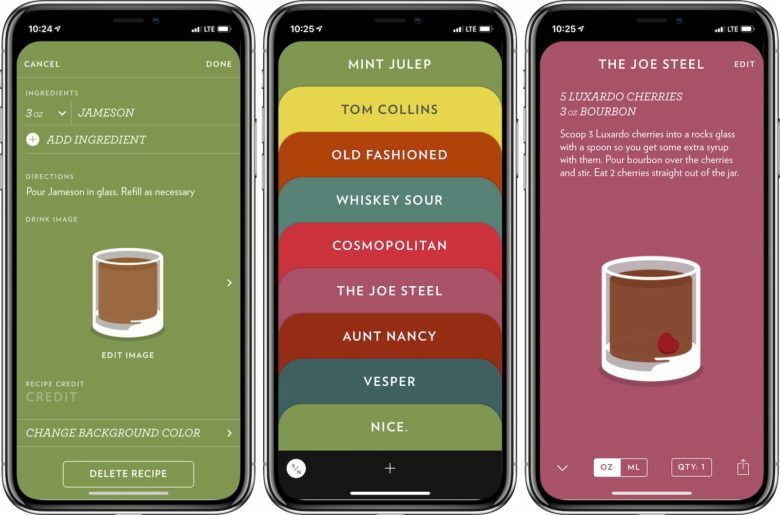 Using the app makes mixing cocktails enjoyable and easy to understand. The simple interface starts with drink “cards.” Each card clearly shows the quantities of each ingredient (which can be switched between oz and ml). Drink cards also provide simple instructions on how the cocktail is to be prepared. Another great feature of Highball is the drink library. While it isn’t full of ridiculous “specialty” cocktails you might see at your local Dave & Busters, it is full of high quality recipes for the most essential kinds of drinks. This makes it essential when hosting a party or mixing drinks for a friend. It also makes it great for finding new or interesting drinks based on a given ingredient or genre. Creating, saving, and sharing recipes in Highball is easy and elegant. Sharing is another great feature of the Highball app. Using a small QR code on each drink recipe, you can send your favorite or personally customized recipes to friends or share on social media. By using QR codes, the image is easily shared, but is also editable once imported into the app. This also makes discovering and saving new and interesting things a breeze. Anybody that enjoys a nice cocktail will appreciate Highball. If you’ve ever found yourself wanting to explore the wide world of mixology or expand your cocktail making skills, Highball is for you. Mixing cocktails is an art form, and Highball is the perfect inspiration for your next masterpiece. Whether you are having a social gathering or celebrating the conclusion of the 50 Essential iOS App series, Highball is the best cocktail app for keeping things classy.